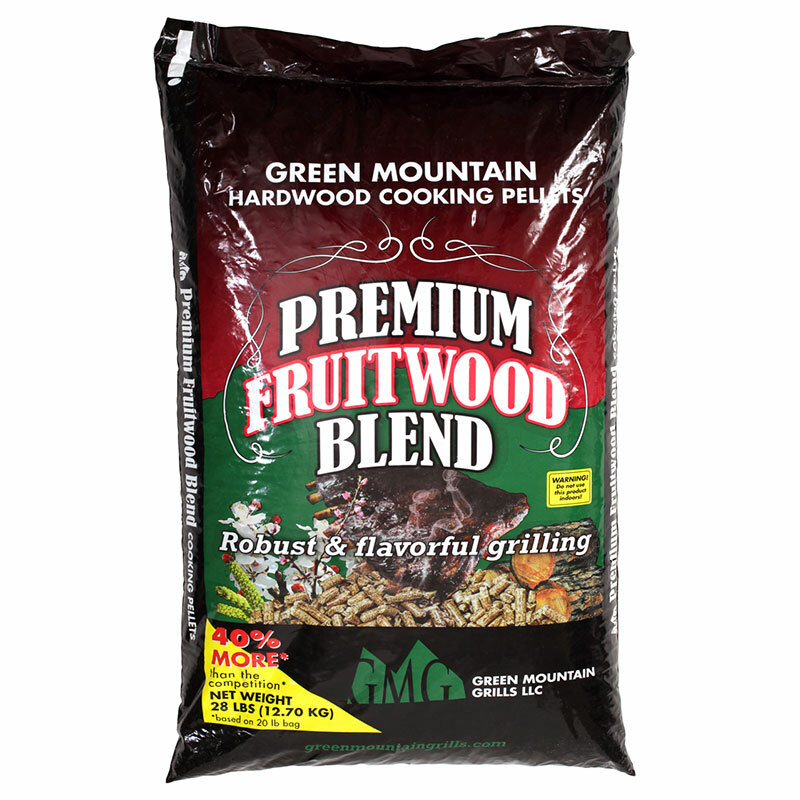 Green Mountain Grills' 100% all-natural hardwood BBQ pellets don't only add great taste to your food, they're great value too! Packed in 12.7kg/28lb bags, you get 40% more pellets for your money than you do with the other leading brands. 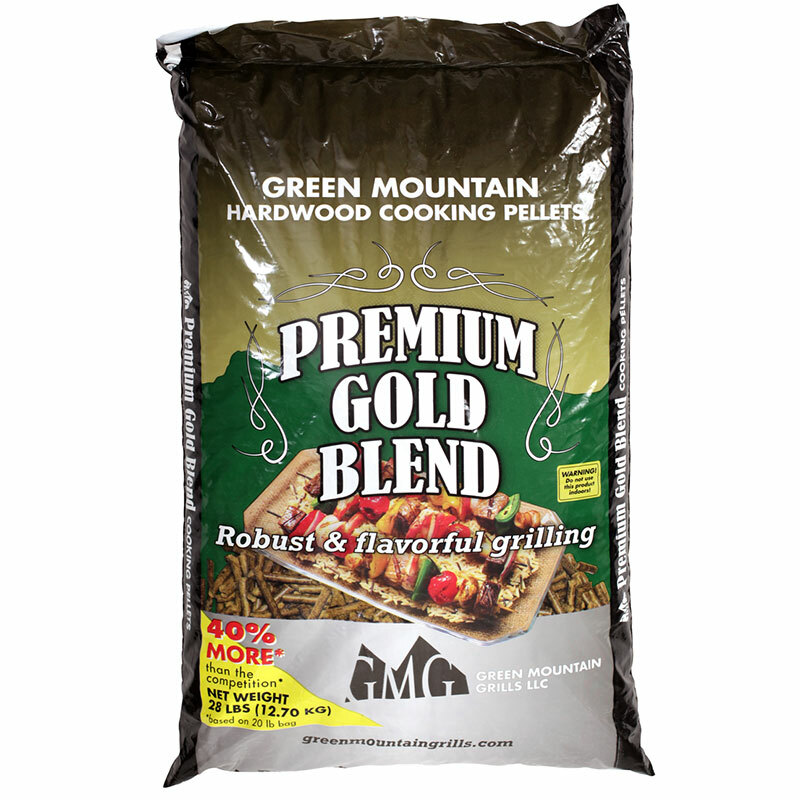 The amount of pellets any pellet grill made by any manufacturer uses is governed by a whole range of variables. There are no absolutes. And don't let anyone tell you otherwise! 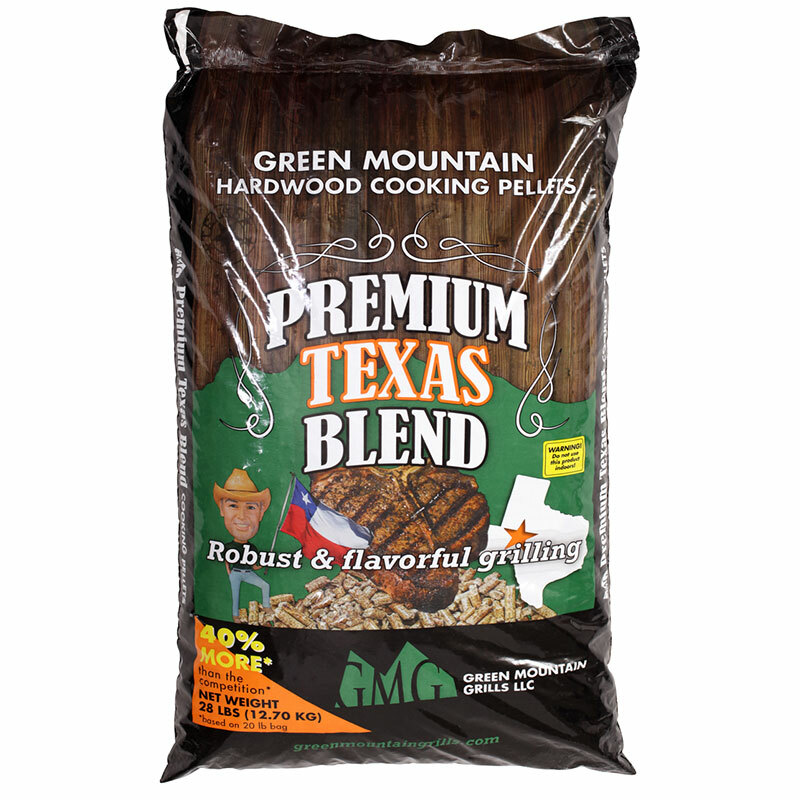 These variables include: ambient temperature, cooking temperature, wind, altitude, how often the lid gets opened and closed, meat weight and temperature when placed in the grill, pellets used - some woods burner hotter than others, etc. If cooking regularly at colder times of year, which is when pellet consumption will be greatest, you'l find the GMG Thermal Blanket is a great investment. Ambient temperature range: 12-19C (52-66F). 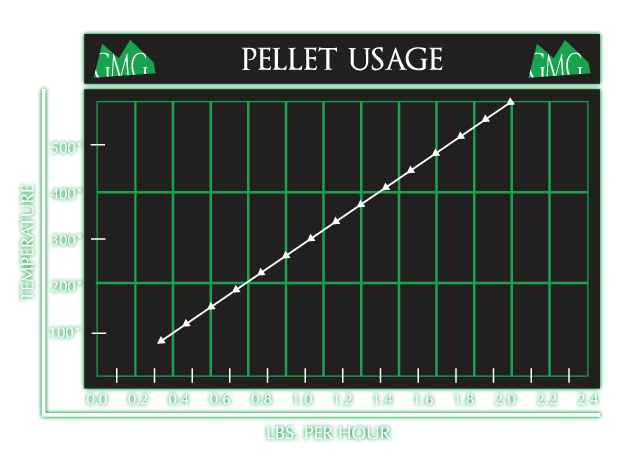 Usage of GMG Premium Blend Pellets. No food in cavity. No wind.